Earth to Self | Are you loyal to yourSelf? 14 Jan Are you loyal to yourSelf? In the day and age of inspirational quote overload, it takes a lot to grab my attention. It needs to deeply resonate, to catch me off guard and to speak into my current (inner) experience. This one was not found scrolling through my Facebook feed, it was hanging on a friends wall when it smacked me in the heart with its deep wisdom. I’m not even sure who said it (please let me know if you recognise it). Buddha? Sounds like something he would say! When I think of the concept of loyalty, I immediately think of being loyal to others, like friends and family. People in our lives who we love and support wholeheartedly, often without question. ‘In order to be friends with myself, I would need to love myself unconditionally’. Self Love. It really is so crucial. 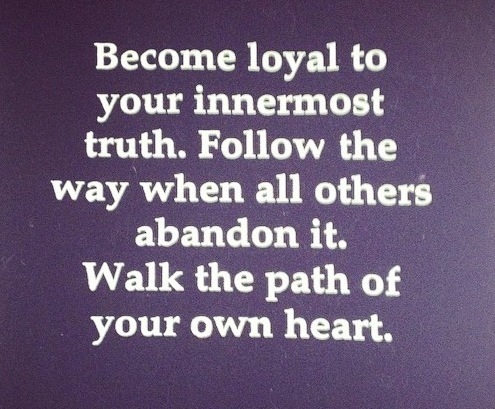 To be loyal to my innermost truth, I would have to know what that truth is. To state the obvious. After some contemplation, I discovered that for me, my innermost truth reveals itself through feelings in my body. The heart swells, there’s a deep resonance, stillness settles, time stops – even if just for a moment. There’s a sense of inner knowing that can take your breath away. To recite a cliche, your innermost truth is always within you. Gently, quietly present waiting for you to meet it in your heart. 3. Keep going in the face of abandonment. There was a time when I was just as quick to abandon mySelf as others in my life didn’t ‘get’ me. Hello teenage years! Hello former career/s that grated against my values (yes there were more than one)! Even now I have to catch myself when faced with judgement or even disinterest. Abandonment can sneak its way in and before you know it, you have lost touch with your truth. 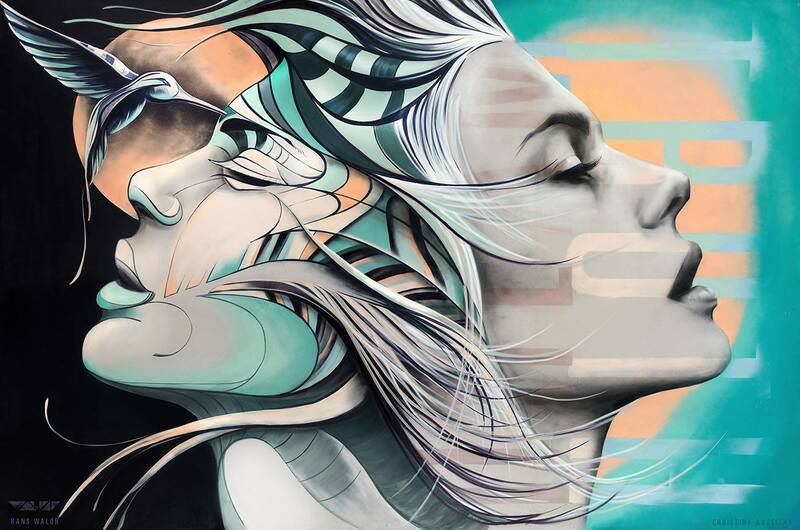 When we abandon ourselves, we are not truly willing to be ourSelves and worse still, we miss out on accessing our unique gifts and living with purpose and passion. Its painful and exhausting to be someone we are not. Follow the way when all others abandon it and you will find those who are are willing to embrace all that you are. 4. Walk the path of your own heart. Oh the journey from the head to the heart! It’s a biggie and it takes so much practice. It’s one I’m continually working on. At some point, following the path of your heart means you have to go it alone and that takes so much courage. But ironically, it delivers you to your truth. Which brings me back to loyalty. And we have come full circle. Discovering your innermost truth is something we can work on in a Transpersonal Therapy session and there are so many ways we can access it that are unique to your inner process. To find out how to work with me, click here. I would love to know, what do YOU get from this little nugget of wisdom? How has it altered your perception of yourself and your path? Loyalty to self is SO important. Thank you for writing this wonderful post. This is really beautiful and incredibly powerful – thank you for sharing. oh Chloe, I’m so glad it speaks to you. Thanks for being here. I hear ya! Potent stuff, hey.